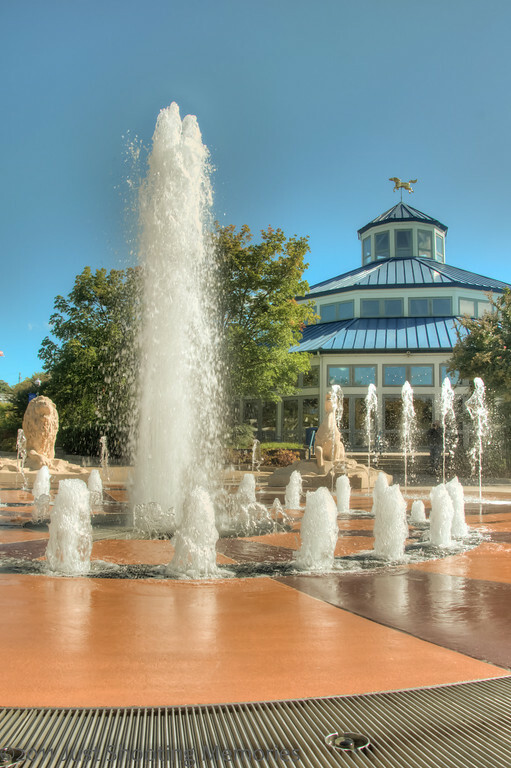 The Fountain at Coolidge Park | Just Shooting Memories! St. Michael Archangel (Indiana Law Enforcement Memorial) Only 120! I must say it is lots of fun to shoot fountains. This one was especially fun because the fountain was set up to change the height of the water jets. I took lots of shots of this during the World Wide Photowalk. My only complaint was that there were no good clouds that day. Other than that, it was not too hot, to cold or wet. I know that while I was getting these shots, there were several other photographers there also. I know some people are into candid shots, but I don’t know if anyone got one of me. Someday I may ask them.